What’s one of the keys to ensuring an organization’s longevity in any industry? Anticipating and adapting successfully to change. This couldn’t be any more true than in healthcare today, especially for ambulatory surgery centers (ASCs) and revenue cycle management. In an already challenging environment where reimbursements are on the decline and regulations are on the rise, changes in U.S. leadership could mean even more uncertainty in 2017. How can ASCs keep up? Partner up. Partnering with experts who can help you navigate through current — and future — changes will be imperative to any surgery center’s success moving forward. At SourceMed, we make it a priority to stay on top of what is happening in the industry so that we can help ASCs keep pace with new policies and best practices that can have an impact on their facilities. For example, we recently partnered with Wyoming Surgical Center (WSC), an orthopedic ASC in Casper, Wyoming, by providing end-to-end solutions and expertise to help the facility stay ahead of change and maintain a healthy revenue cycle. Founded in 2001, WSC handles nearly 1,500 cases each year. But a few years ago, as the reimbursement environment was becoming more complex, they noticed revenue cycle-related issues that were negatively impacting their financial performance: Coding was more difficult, submitting claims and getting paid took too long, and collections had become more challenging. WSC was already using SourceMed’s AdvantX software platform. They decided to extend the partnership to include our team of coding and billing experts at SourceMed Revenue Cycle Services (RCS), which pulls clinical and financial data needed to manage the entire revenue cycle directly from AdvantX. With this integrated solution, ASCs gain complete transparency for management, measurement and reporting, without extra upfront interface costs or yearly maintenance fees. Procedure codes change frequently, and coding inaccuracies directly impact reimbursement. Many surgery centers simply don’t have the staff to handle keeping up with the changes — or to deal with appeals when claims are denied due to coding errors. Our team ensures that WSC claims are coded accurately so that the center gets paid for all the services they provide as quickly as possible. We also conduct research to determine why claims were denied, and then resubmit them for appeal when necessary. As a result, the center’s Accounts Receivable over 90 days has decreased by 17 percentage points. Days to bill is one the key performance indicators (KPIs) we use to measure revenue cycle health. The longer it takes you to submit a claim, the longer it will take you to receive reimbursement. By consistently tracking the time it took to submit claims after a surgery and implementing a standardized process for producing bills — including making sure that the chart sheet, op notes and transcriptions are submitted to us daily — the center’s average lag days have decreased by 40 days, which has dramatically increased speed of payment. Patients are responsible for more of their healthcare costs than ever before, which means collecting on patient balances is critical to maintaining healthy cash flow. It can be difficult to keep track of past-due accounts and make patient collections a priority amidst so many other concerns, especially when the ASC has a lean internal team. At SourceMed, we have the expertise and the resources to handle patient collections, and our work contributes to an increase in gross collections for the centers we partner with. For Wyoming Surgical Center, collections almost doubled in a single year. 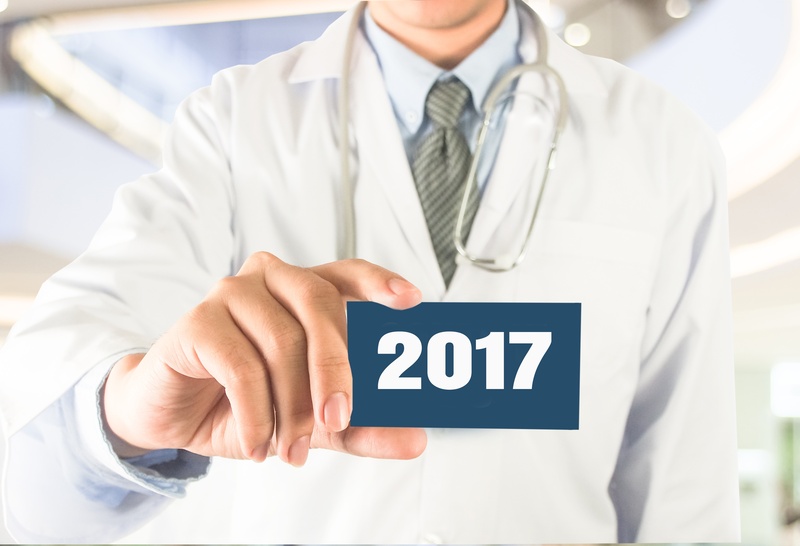 The reimbursement environment has changed significantly for ASCs over the years, and it will continue to do so in 2017 and beyond. Maintaining a future-focused, adaptable approach is necessary for centers to ensure a healthy revenue cycle, but they don’t need to do it alone. Find the right partner with end-to-end revenue cycle solutions, deep subject matter expertise, and a track record of helping ASCs capitalize on opportunities - and avoid landmines - as they arise. This will enable your facility to focus on what really matters – delivering high-quality patient care. If you’re looking for this kind of a partner in 2017, consider SourceMed Revenue Cycle Services. Contact us and we’ll respond quickly to assess your needs and how we can help.